A quick overview of five timely resources to answer your business questions – including how to handle bad online reviews, when to jump into a new market and how to avoid costly scheduling mistakes. Bad online review? – Reputation.com founder Michael Fertik discusses how to manage your brand’s online reputation, handle negative comments so you don’t sound defensive and generate positive online comments in this Q&A. What’s the best time to enter a new market? – There’s no simple formula but here are four strategies that’ll make the process of timing your entry into a new market as painless as possible. Rethinking your company’s drug testing policy? – Marijuana is still illegal under federal law but with a low unemployment rate and legal medical marijuana in Michigan, some businesses are considering new drug testing policies. Before you make a drug policy change, read this. You’ll learn what to consider when it comes to safety, discrimination, workers comp and federal contracts. How do you know if a franchise is right for you? – Do your due diligence starting with these five ways to research franchise businesses. 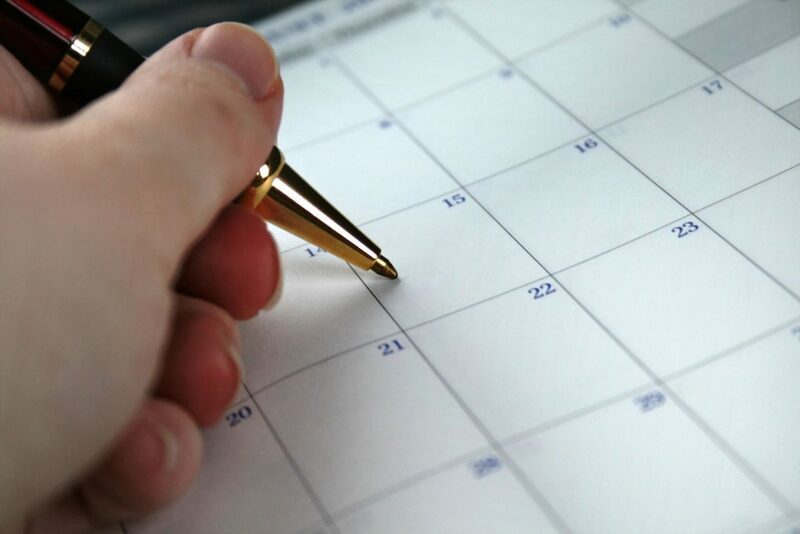 Are you making costly scheduling mistakes? – If your business operation relies on appointments, avoid these mistakes so you can get more bookings and reduce scheduling errors. Thank you to our Friday Five sources: Business.com, Entrepreneur, Inc. and Small Business Trends.